We offer a range of rock climbing courses, including climbing self-rescue courses in the Lake District and Snowdonia, the Peak District, and Yorkshire. We do not schedule these in advance on specific dates, as we prefer to make each one bespoke for you and adapt them to cater for different levels of ability and experience. 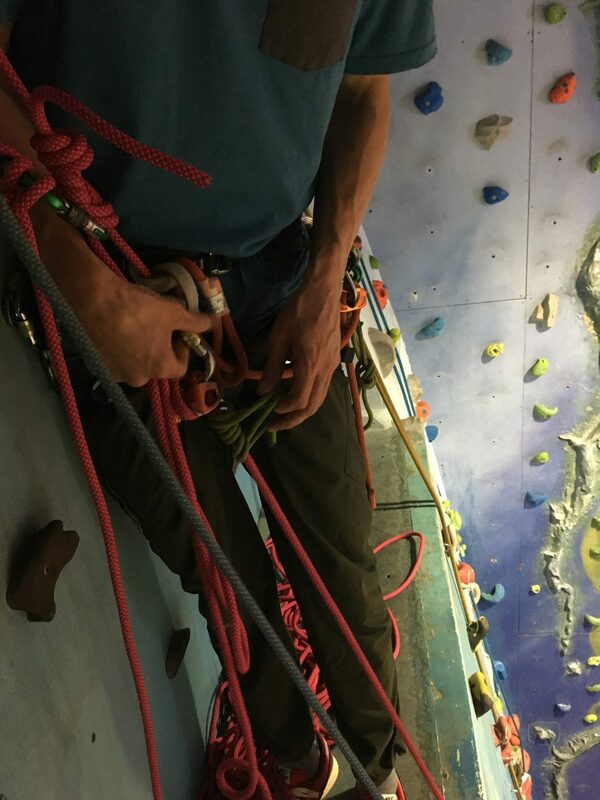 This course is for experienced lead climbers who want to extend and deepen their technical knowledge so that they will be able to respond to problematic situations (or preferably avoid them in the first place), using a ‘toolbox’ of methods and techniques. Courses are a minimum of one day in duration, but are often booked as a two-day weekend. We can also run the course for longer periods, perhaps separated by a few days to give time for you to reflect and practice, or in one longer intensive burst. This course is completely bespoke although there is a ‘menu’ of topics that we are likely to cover. We will discuss your current climbing experience and aspirations, including the situations that you are most likely to find yourself in. Together, we will then devise a plan to give you a ‘toolbox’ of methods and techniques to deal with the problems that you are most likely to encounter. Prices for one day start at £180 for one person; £200 for two people (i.e. £100 per person); etc.